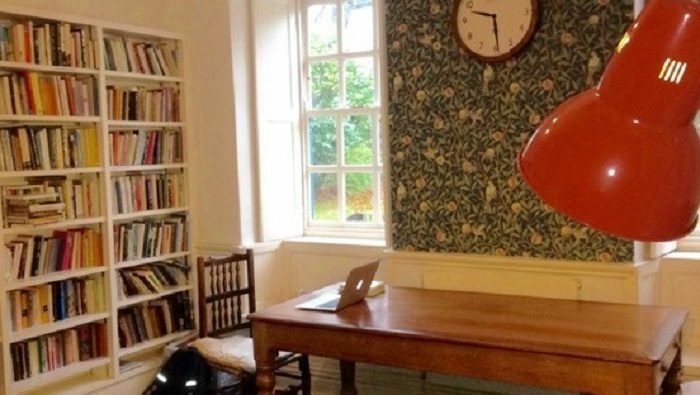 In November 2017, Flemish writer, Peter Theunynck undertook a literary residency at Tŷ Newydd Writing Centre as part of our Poetry of Loss project. Read more here. Monk’s cell or coffee bar? Being a writer in residence: how does it start? Friday 28 April 2017: I have just found a message from Passa Porta in my mailbox with the overview of 2017-2018 listing the places where Flemish writers can go to work on their new projects in peace and quiet. My eye is drawn straight away to Tŷ Newydd, Wales. Never before in my life have I withdrawn to a secluded place to write. Never really felt the need to. I like the hustle and bustle of life around me and I prefer a coffee bar to a monk’s cell. Still I decide to apply. Why? I have a plan. The setting of my next novel is Wales, where it follows the refugees who ended up there in WWI. I got this idea when I learnt about the experiences of Gustave van de Woestyne, Valerius de Saedeleer and George Minne during their time in Aberystwyth and surroundings. You can hardly write a novel that takes place in Wales without having been there yourself. I compile a dossier and list the reasons why I absolutely want to go Tŷ Newydd in the bleak month of November. After that the only thing left to do is wait. I try to put Wales out of my mind for a bit. On 5 July 2017, the day on which we are leaving on our holiday to the south, my mailbox sings out in joy. 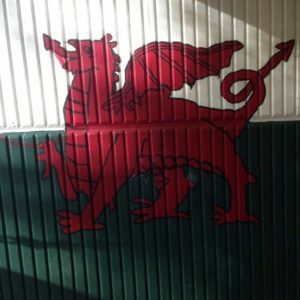 Messages from Passa Porta, Flanders house and Tŷ Newydd. I have been selected! Read Part 2 of Peter Theunynck’s Welsh Adventure here.